If you’ve been anywhere near a Club or Radio recently, the name Eric Stephens A.K.A Sleazy E will ring more than a few bells. Having immersed himself in the Clubs and Music Industry for over 14 years, he is no stranger to the Adelaide & Darwin clubbing circuit and has been known to go all night, on quest, to bring you the best, earning him the name “The Machine” due to his club marathon DJ sets. He’s one hell of a fine tuner when it comes to track selection and crowd reading, an ability which lets face it is a dying art in today’s Club scene. 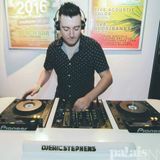 With his passion and dedication it’s not hard to see why he has been well sought after and respected in the clubbing scene.